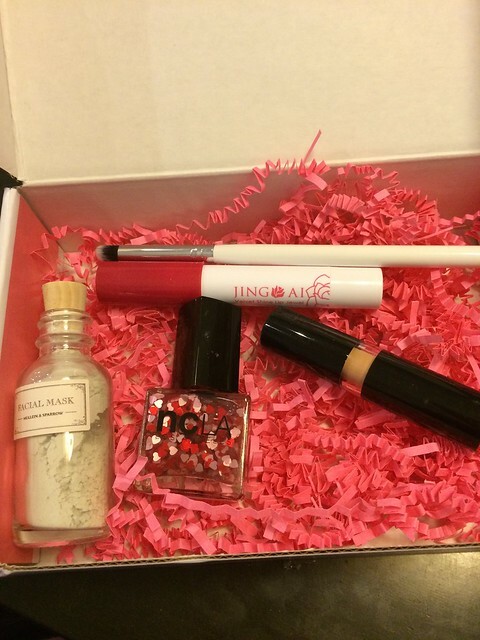 My February BoxyCharm box is here and full of goodies!!! -Modern Minerals Duo Fiber Mini Round Brush. Full Size. $15 So soft! And I can always use a new eyeshadow brush. 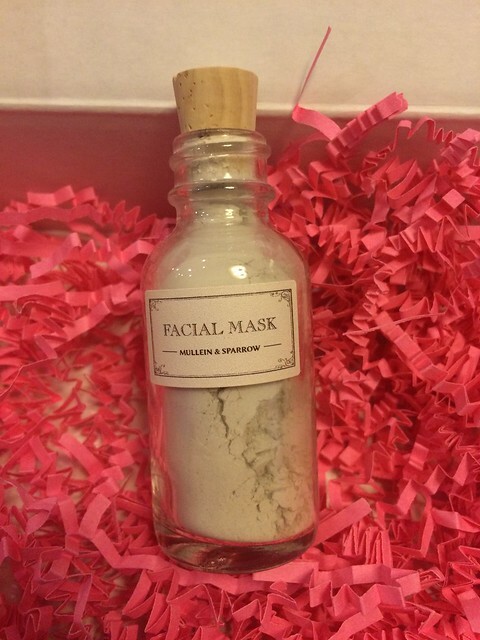 -Mullein & Sparrow Mini Facial Mask. Deluxe. $15 LOVE the packaging so much! And I really like that it’s a mix per use so I won’t have to worry about it drying out before I can use it all. 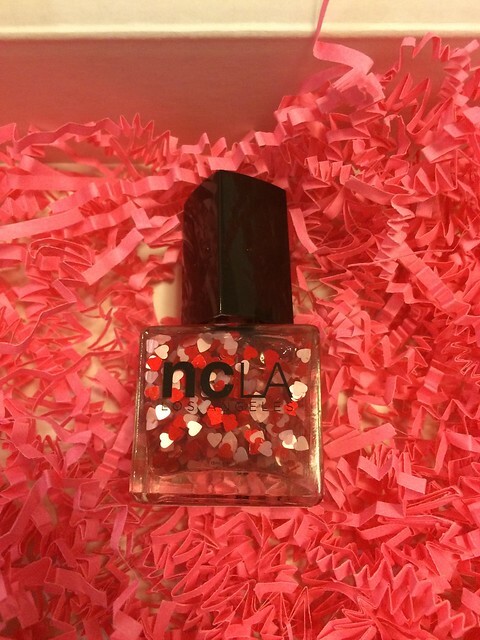 – NCLA Nail Lacquer in Heart Attack. Full Size $16 Super cute giant heart glitter. Will definitely use next Valentine’s Day! 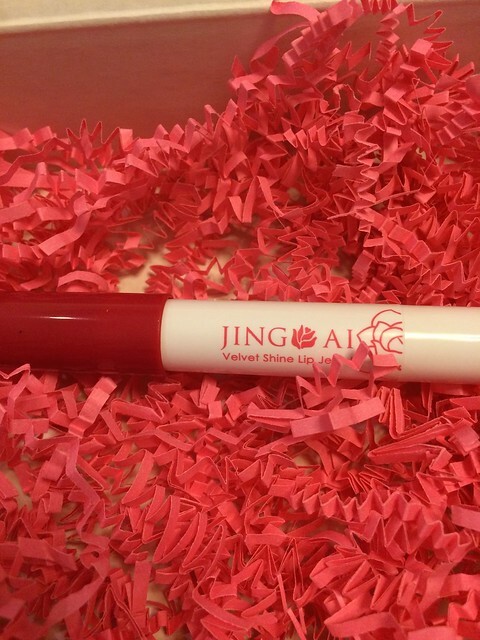 -Jing Ai Velvet Shine Lip Jewel. Full Size $22 Gorgeous color and goes on super smooth. -Mistura Beauty Solutions C-2-P Complexion Corrector. 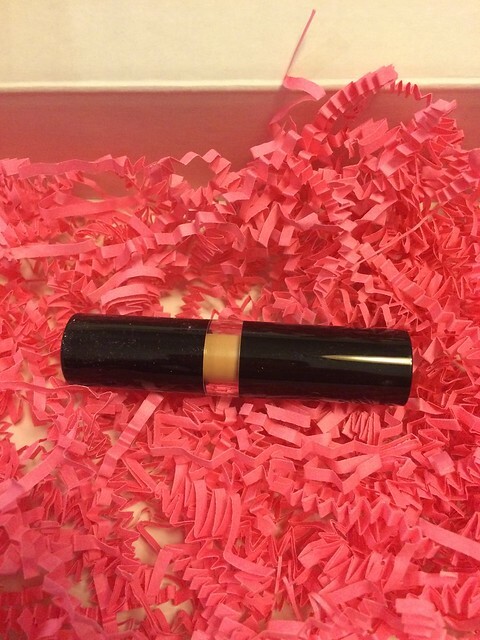 Full Size $36 Concealer. I haven’t used a cream concealer in years since I use Bare Minerals but I love that the ingredients include coconut oil and shea butter so I’ll be giving this a try! 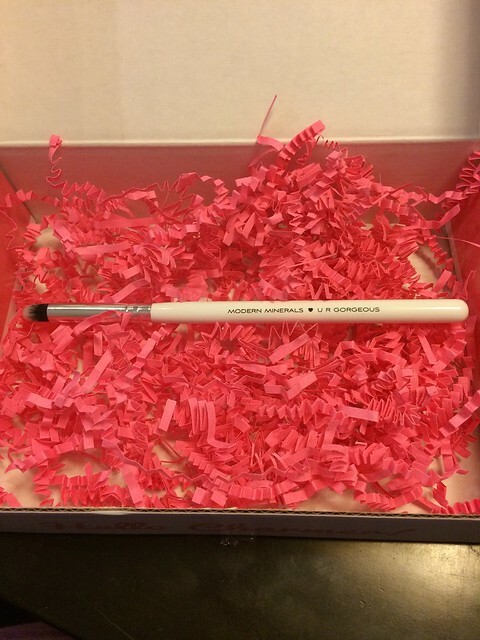 If you would like to start receiving BoxyCharm then click here!! !